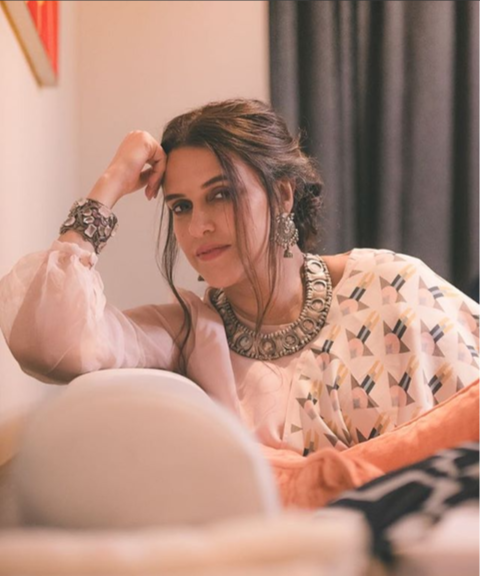 Newlywed Neha Dhupia Shows Us How To Look *Edgy* In A Saree! 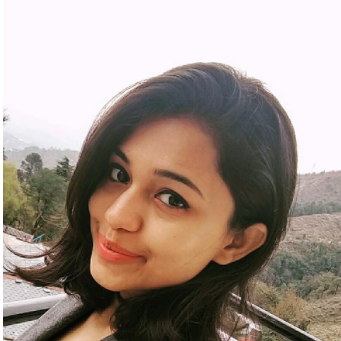 Wearing a saree, or let's just say managing a saree is not everybody's cup of tea. And most girls get sleepless nights just thinking of how to drape it and manage a pallu. But, fret not! 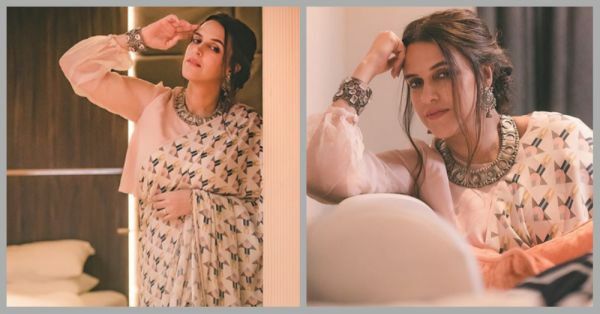 We got a gorgeous newlywed bride to guide you and it's none other than Neha Dhupia, the lady who never fails to impress us with her unique fashion sense. Neha is not someone who follows the herd and believes in sporting some stunning unconventional looks. Even for her wedding with Angad Bedi, she opted for a very subtle pink Anita Dongre lehenga and looked stunning. Neha wore a very subtle printed white Payal Singhal saree at a jewellery and luxury gifting store launch. And, her look is all the inspiration that a newlywed bride needs to wear a saree with an edge. What we are crushing on is the puff-sleeved white blouse that she paired with the saree. She completed her look with a chunky neckpiece and a cuff with an antique finish. With her hair tied into a loose bun and dewy makeup, Neha looked a class apart. With elegance and edginess in abundance, this look is goals for all you newlywed brides out there!